Earlier last year, Developed Market (DM) stock indices, key benchmarks like the S&P and the Eurostoxx 50 hit important lows, ending a 9-month corrective sell-off that began from the May ’15 highs into February ’16 lows. This was the largest decline in over 4 years and comparable to the year-2011 correction. But this event also marked the end of 5-year counter-trend declines in Emerging Markets (EM) and Commodities. This formed an important convergence because the performance of EM’s and Commodities had been divergent over the past five years – now they have aligned again in what we described at the time as the ‘RE-SYNCHRONISATION’ process. The S&P has since traded into new record highs whilst EM’s have undergone a renaissance with huge outperformance as it resumes a new uptrend. Commodities have also staged a similar turn-around which is set to continue in the years ahead. This re-synchronisation process was forecast as a future event back in December ’14 in WaveTrack International’s 2015 annual forecasts. It hinted that when these divergent trends would realign, it would signal the emergence of the 2nd Phase of the ‘INFLATION-POP’. The inflation-pop was a term we used to describe how many asset classes were undergoing inflationary impulses induced by Central Banks monetary easing policies that were implemented after the financial-crisis. The 1st phase of the inflation-pop’ ended in year-2011 when EM’s and Commodities formed their peaks. Now that corrective declines ended in January/February ’16, the 2nd Phase is deemed already underway. The latest video series describes how this 2nd phase will translate into COMMODITIES, the duration and their extent/amplitude, for 2017 and beyond. Part II (fig’s #39-106) features a total of 67 charts, our largest assemblage ever with many more time-series and alternate counts in addition! 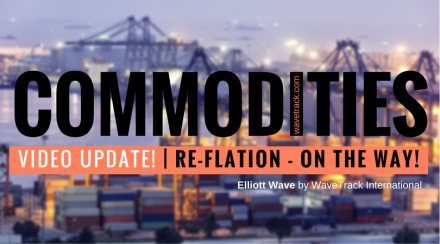 1 hour 50 mins long video of indepth Elliott Wave commentary featuring over 67 charts with Fib-Price-Ratios, Cycle projections, Correlation Studies and so much more! This is WaveTrack’s state of the art bi-annual video series which according to our clients is a ‘must have’! 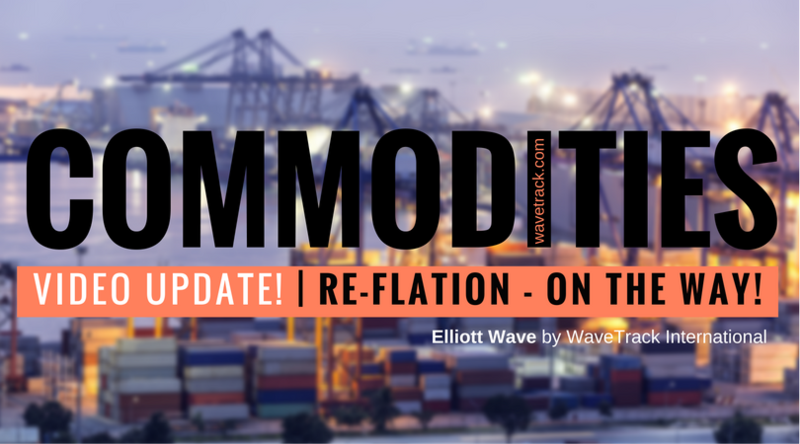 Correlation analysis, highlighting Commodity 2nd Phase of the ‘INFLATION-POP’ Gets Underway! – Please state if you wish to purchase the SINGLE VIDEO for COMMODITIES for USD 48.00 (67 charts)?